And yet you both continue to book TPAC on AC. Is there no other carrier flying to Asia? Frankly, if I was AC, I wouldn’t bother to fix them, either. You’ll keep buying fares anyway. Odds dictate the numbers should get better for me... Plus i am compensated for the inconvenience. I do not like flying TPAC on an Asian carrier as I find all the cabins too hot- i just cannot sleep (and yes i have tried most of the majors over the years) . Not that interested in flying UA- have refused to fly them long haul ever since the 4 middle seat debacle (not to mention backward-facing) . Does not really leave a lot of choices, does it ? Lastly, I am quite close to 3MM, so it would be kind of foolish of me to fly another Carrier. J. Leslie and lallied like this. AC 90, Jan 14, FIN 743. Seats 2K, 5K and 5G were not inflating on the ground. J cabin was full so good times were had. I was in J the day before on AC 90. Glad I dodged that bullet. This is a noob question. 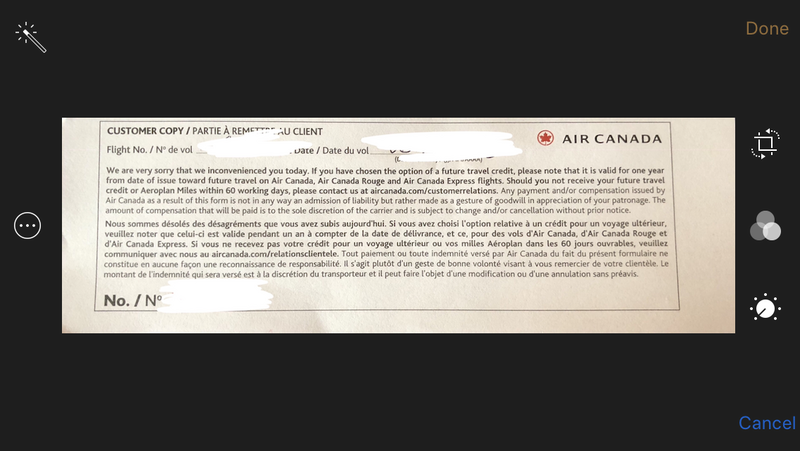 If I'm flying on an award ticket, am I a "non-rev" for the purposes of having to swap with someone whose seat is deflated? 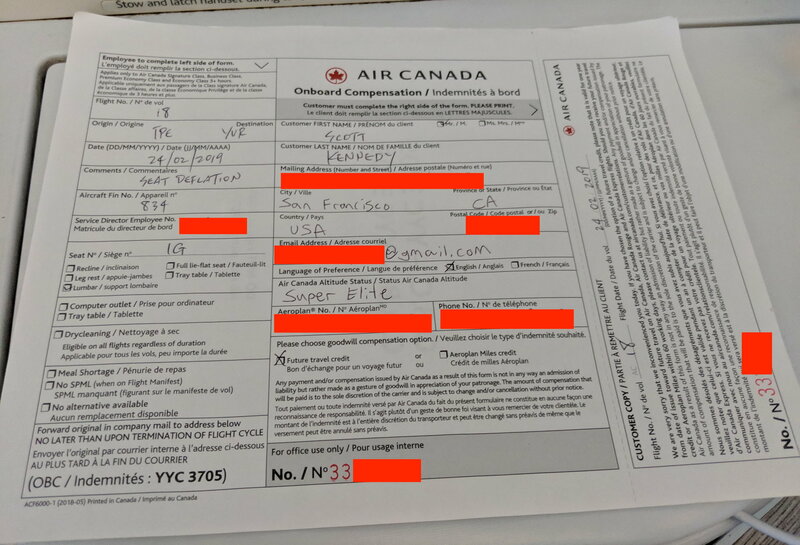 A reward ticket like Aeroplan is still considered revenue, and the AC PIL does not distinguish between a reward booking and say, a booking made on aircanada.com. canadiancow and nexusCFX like this. Non revs are firstly AC staff and then ... eUps in reverse status order? An E35k would be kicked and refunded their copay before a SEMM? Good to hear. I have a ton of award bookings on SFO-YYZ-SFO so I'm glad @canadiancow cannot banish me to a deflated seat. It seemed very self-evident that this is a thread focused on deflating AC business class seats yet I just had to delete a half dozen posts about UA! Folks, please try harder to stick to the thread topic. folkart, Plumber, canadiancow and 1 others like this. If you've used eUps, you're a revenue passenger. ridefar and nexusCFX like this. To add to this, I don't believe that the cabin crew can (under normal circumstances) tell if you are an eUpgrade. The one exception may be if they are short on meals and the gate agent actually knows this in time to note this on the manifest, otherwise they shouldn't know. Somebody correct me if I am wrong, but I don't think they would know. Even short meals have to be communicated -- if the GA doesn't do anything, the cabin crew has no way of knowing. AFAIK. Gate upgrades are indicated on the manifest, but only in the context of meals. If there's a problem with your seat, you want to change, and the cabin's full, you need to deal with the GA before the door closes. No. If your upgrade clears before DCS then there will be no such ML*1 code in the remarks section, which is what @canadiancow is talking about. The crew will have no idea that you were a confirmed upgrade (via eUpgrades) and that you cleared whatever it is you needed to clear in advance to get you in your J seat. So to confirm then the only people who can be switched out for a deflated seat are AC staff, their family and friends? No. GAs can downgrade anyone if there's a defective seat. If they acknowledge the seat is defective, the cabin becomes overbooked, and they handle it the same way they would a last-minute deadheading pilot. JordanYVR and jc94 like this. Upper portion of mattress deflated on seat 7A, AC873 FRA-YYZ, Jan18. Fin 740. C-FIVQ. Multiple resets did not resolve.